Happy New Year savages! New year means a lot of new years resolutions and I am sure that means for some people that they either plan to lose weight, or become healthier, or move around more. Well if you savages want to try the petite advantage diet with me keep reading! My weight loss has fluctuated so much. I remember when I was 140 lbs and thought I was fat. I weight 170 lbs now! I got engaged October of 2017 and I do not plan on weighing 170 on my wedding day. Lucky for me I have a year and a few months to get in tip top shape for my wedding. I started reading The Petite Advantage Diet and was interested in trying it out just to see how it works. Now, I did my research online and have not really seen anyone truly try this diet and post before and after pictures or see any kind of results. I am giving it a go. 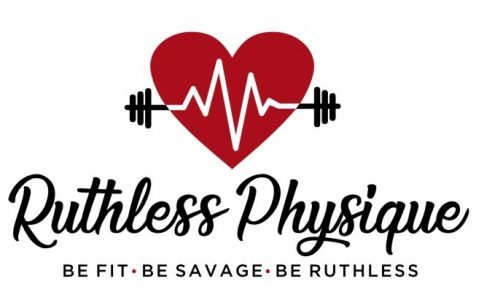 If you want more information on the diet send me an e-mail at ruthlessphysique@gmail.com. You know me I always like to experiment. Moving on below is some information I gathered from the book. There are recipes and step by step instructions in the book to follow if you want to go in depth. You can get the book on amazon click on the link The Petite Advantage Diet. Another thing I want to add about the book is the diet is not made for vegetarians or vegans so if you choose to do this diet you may want to switch meat or dairy products with vegan friendly ones. This book is made for women of 5’4 stature and shorter. As a petite woman (5’1) I have found it hard to lose weight and keep it off. I see all these fitness models on social media and they are all tall and skinny. It’s hard to relate to these girls because I have always been petite. I was 140 a few years ago and now I weight 170! How did that happen?! As a small petite woman any additional calories a day can have a significant impact as opposed to someone who is taller. Think of our bodies as a kid’s pool and a tall person’s as an Olympic pool. If you put a hose in a fill it with water which one fills up faster and can overflow? The kid’s pool. Petite women are the kid’s pool. We don’t have the space like an Olympic pool to fill up. If we fill up, we overflow, and we end up gaining weight slowly. Water bloat is much more obvious on petites. Sodium hits us harder than tall girls, therefore we need to limit our sodium intake. Fiber is our best friend. Fiber keeps hunger at bay. On this diet eat 3 to 5 grams of fiber 15 minutes before dinner. Fiber fills your stomach, it is heavy and big and passes right through your body. Fiber has a role in regulating blood sugar – which is linked to hunger. I don’t know about you, but I have always struggled with going to the bathroom regularly. Fiber helps you become regular and will make your stomach feel flatter and leaner. It is very important for petites to manage their hunger because they don’t have the room for extra calories. You will be eating 35% of total calories in protein. Protein has a high thermic effect. Thermic effect is the number of calories your body burns to bite, chew, swallow food and the amount it takes to process and digest it. Protein’s thermic effect is as high as 30%, meaning that if you eat 100 calories of protein, 30 calories go to eating and digesting and the rest goes to your body. On the other hand, fat on has a 2% to 3% thermic effect. Protein helps maintain lean muscle tissue when restricting calories and losing body weight. The more protein the more muscle will be spared. You will be eating 25% of total calories in fat. Avoid saturated fat – it is linked to heart disease and other illnesses. Saturated fats are in fatty meats, full fat dairy, butter, etc. Saturated fats can cause more damaged to petite woman due to our size. Unsaturated fat on the other hand is linked to good cholesterol and aids in reduction of heart disease. Peanuts, olives, soybeans etc. have unsaturated fat. You will be eating 40% of total calories in complex carbs. Simple, white and refined = bad, there is hardly any nutritional value in this type of carb. It is easy accessible though. It turns to glucose in the bloodstream and hardly spends any time in your stomach. Not good. They also cause inflammation. Complex carbs = good, in moderation, especially for petite woman. It includes whole wheat and whole grain and has fiber and more nutrients. It says in your stomach longer and slowly enters your bloodstream. It also regulates hunger hormones. During this 21-day diet you will also be food cycling. This will help you lose weight faster and fat as well. You will have 2 low calorie days (approx. 1100), followed by 1 high calorie day (approx. 1600). It also mentally rewards you because you will stick to your diet to get to that high calorie day and enjoy it. If you are sedentary (little or no exercise), multiply by 1.2. If you are lightly active (some light exercise like walking or sport one to three days a week), multiply by 1.375. If you are moderately active (moderate exercise/sports like singles tennis three to five days a week), multiply by 1.55. If you are very active (hard exercise/sports six to seven days a week), multiply by 1.725. If you are extremely active (this is Olympic training, ladies, so probably does not apply to most of you), multiply by 1.9. You will eat your biggest meal for breakfast, NEVER skip breakfast. You will follow a 3-day cycle – 2 days 1100 calories, follow by 1 day 1600 calories. Download myfitnesspal to keep track of your calories and macros. Drink have your weight in water in oz. so if you weigh 160lbs, drink 90 oz. of water. Bloat does not help us petite girls. Also try to drink iced water and tea, you body burns more calories this way. No juice, eat the fruit instead it’s packed with fiber. Only have complex carbs like whole wheat and whole grain sporadically. Eat 3-5 grams of fiber, 15 minutes before dinner. Try a supplement. Stock up on veggies, fruits and protein such as chicken breast, turkey, tofu (for vegetarians). Treat – you can have 2 – 100 calories snacks for dinner twice during the first 21 days on a high calorie day. If you need help calculating your bmr, or need help with myfitnesspal don’t be afraid to reach out! We can do this in 21 days. I will be posting before and after pictures to let you guys know how it goes!